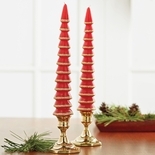 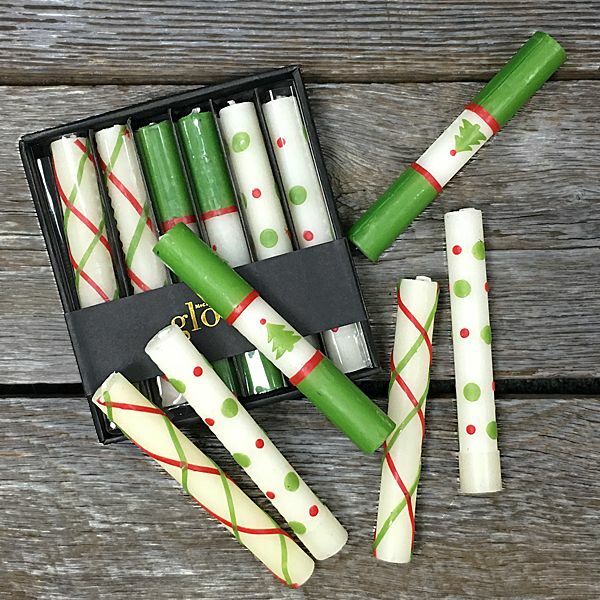 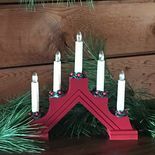 Hand rolled beeswax dinner candles are decorated in seasonal festive colors. 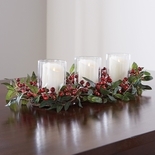 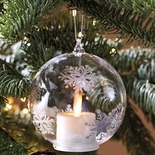 Perfect additional to a holiday dinner party or as a hostess gift. 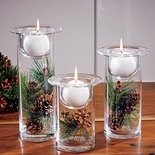 Each candle is 6� high. 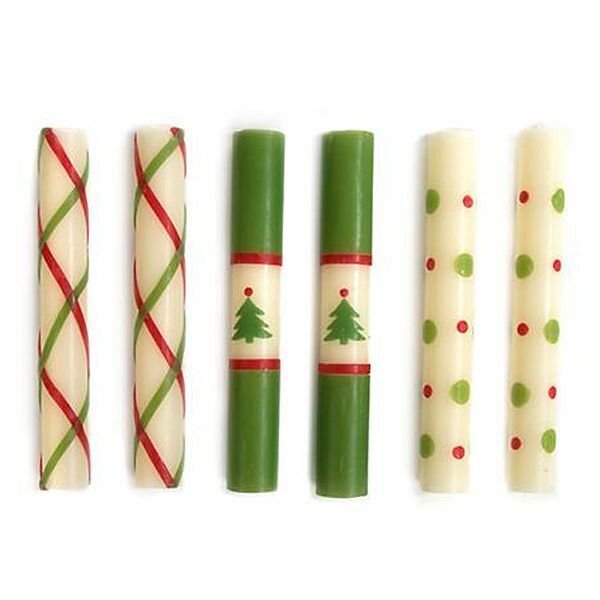 Packaged as a set of six, two of each design.